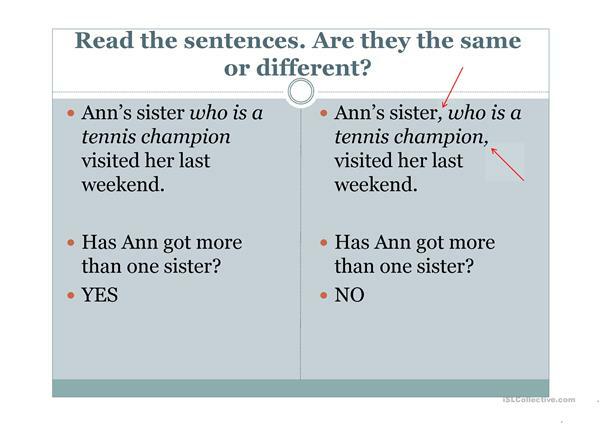 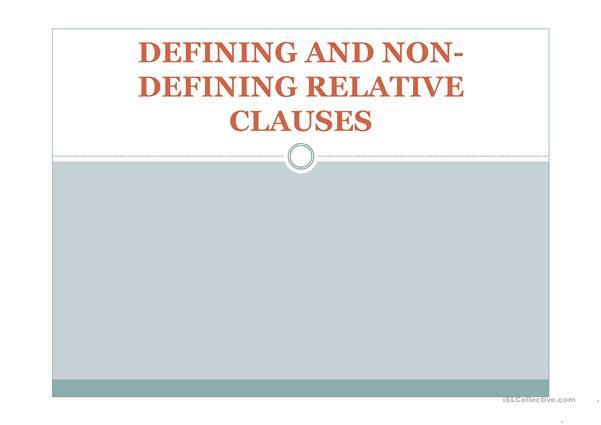 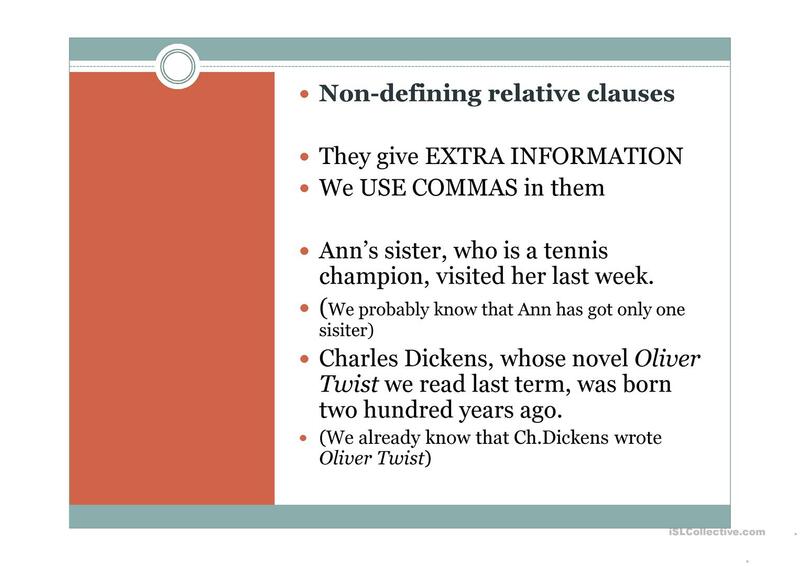 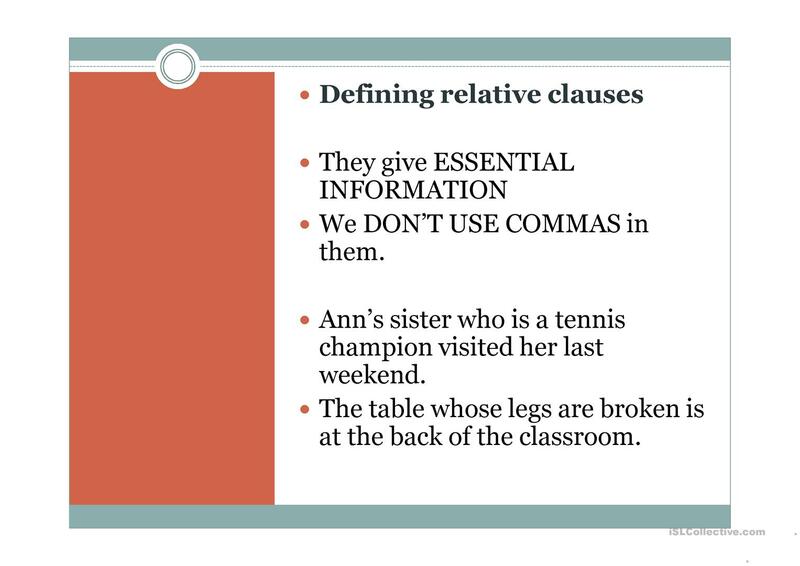 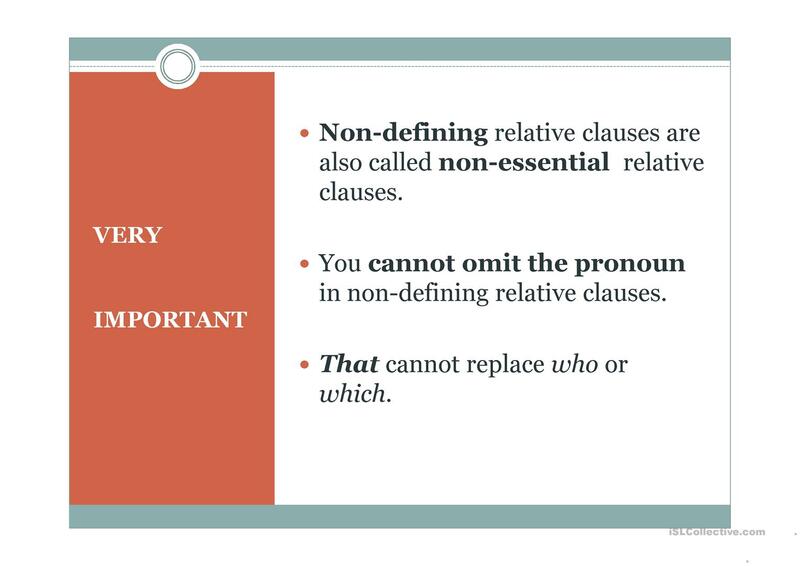 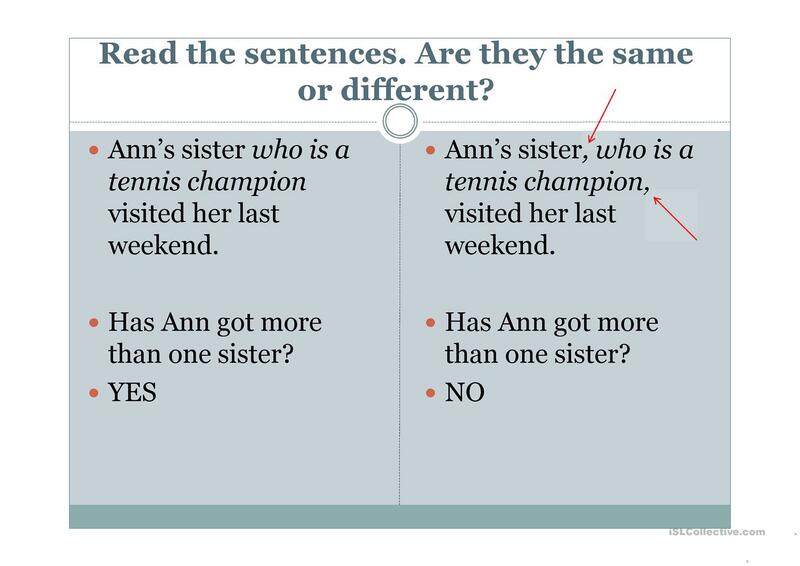 It's a short explanation to help students see the difference between essential and non-essential information in relative clauses. 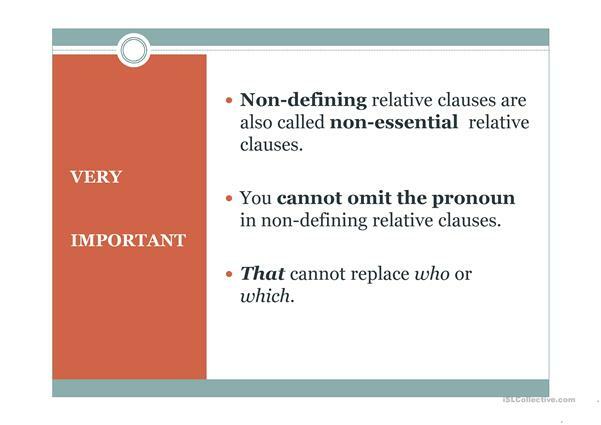 The present downloadable handout is a great resource for high school students at Intermediate (B1) level. 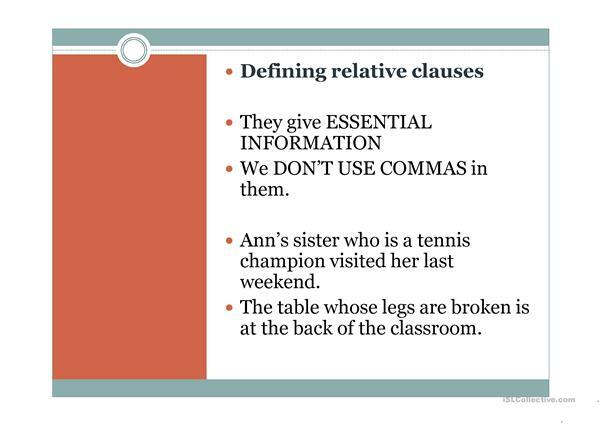 It is aimed at practising Relative clauses in English, and was designed for honing your pupils' Writing skills. 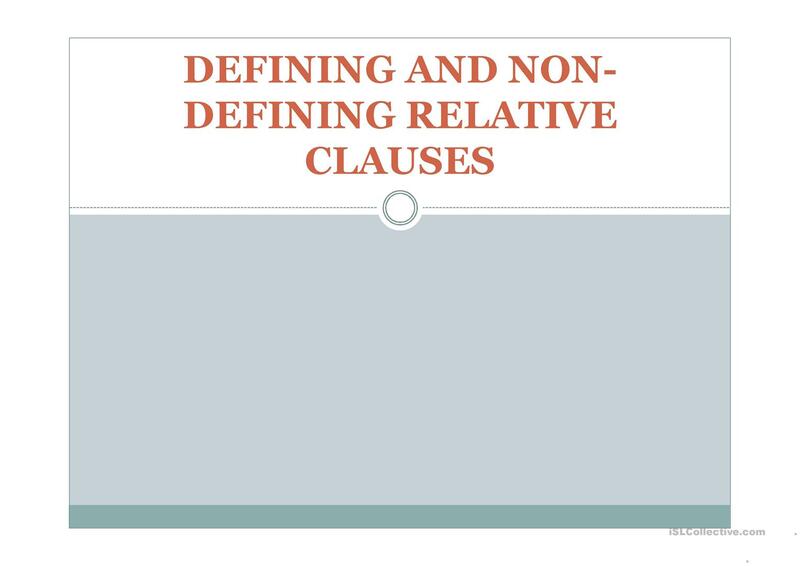 mespada4 is from/lives in Spain and has been a member of iSLCollective since 2012-04-13 17:13:23. mespada4 last logged in on 2019-02-05 20:57:41, and has shared 5 resources on iSLCollective so far.